Hello, I'm a reborn mother of 8 reborn babies. Hello, I'm a reborn mum of 8 reborn babies at home. Here's one of my 8 collections and her name is Michaela Amita. 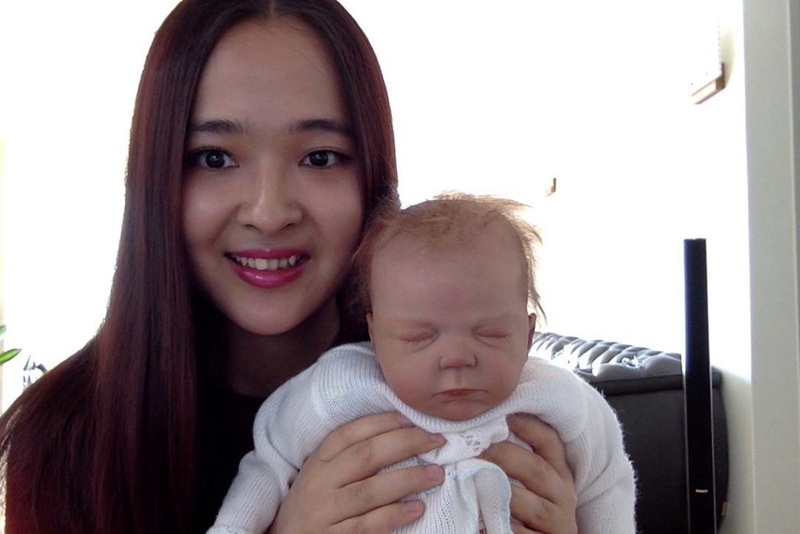 Beautiful mama and reborn baby! Nice to meet you! You are beautiful and your sweet little baby is too!!! Looking forward to seeing more of your babies and getting to know you!!! You both are so pretty!! for the compliments! Jenny in NH. Welcome to REAL. Would love to see all 8 of your babies and know who their artist’s are. Sure pia 46, I will post the photos of my 8 babies soon. Meanwhile, here's my second baby Tobias Muroe. I got these babies in 2009 it was while ago and I moved Canada to South Korea so I lost all the artist's information with the birth certificate sadly. I was 16 years old back then and was reckless about keeping the certificates and artist's information. Nice to meet you! 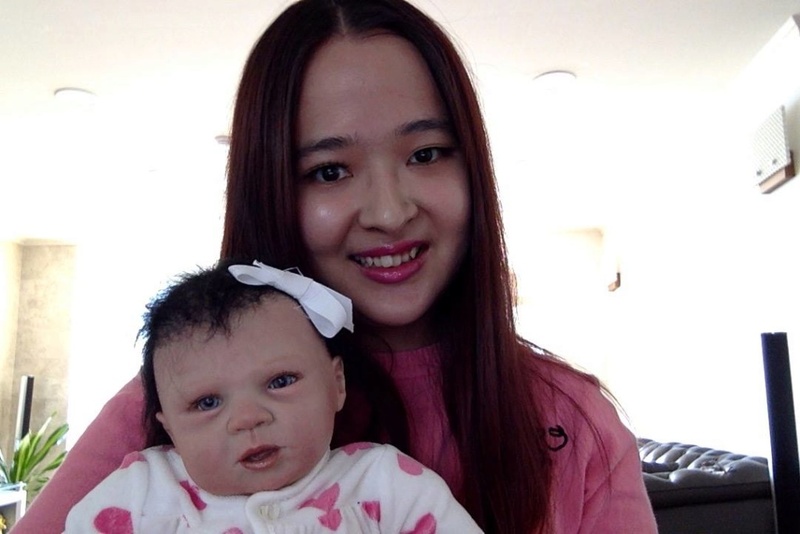 Can't wait to see more of your Reborn Babies! Subject: Re: Hello, I'm a reborn mother of 8 reborn babies.